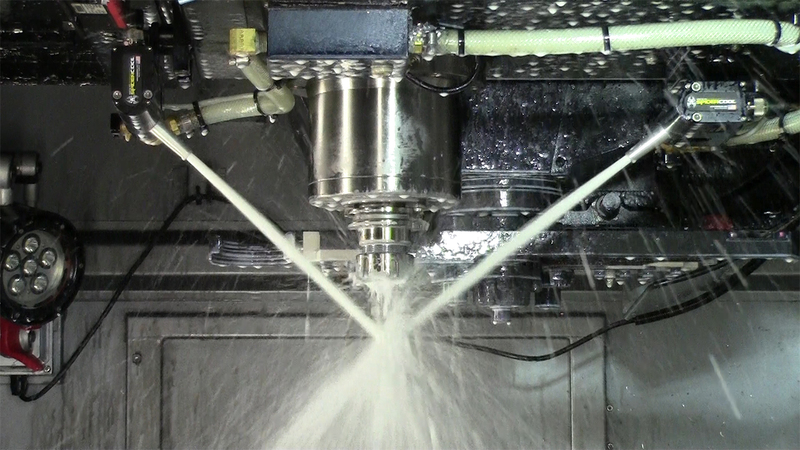 aims high performance coolant jets at the cutting edge of each tool. 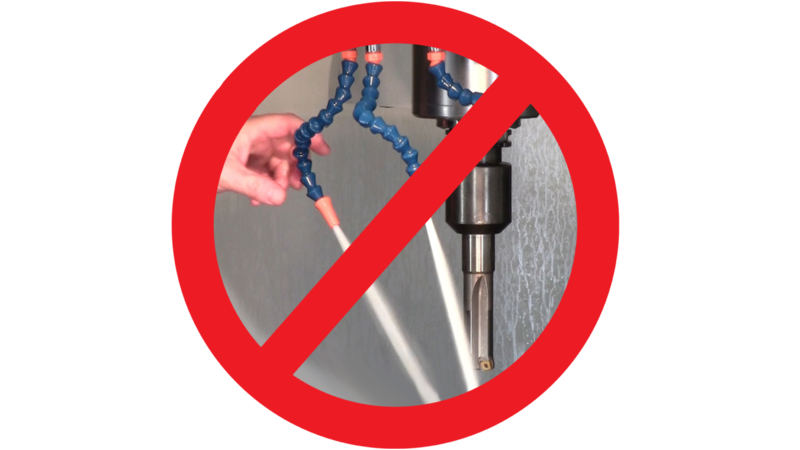 Single or Dual SPIDERCOOL Servo Controlled Nozzles can be added to nearly any new or existing CNC Machining Center. 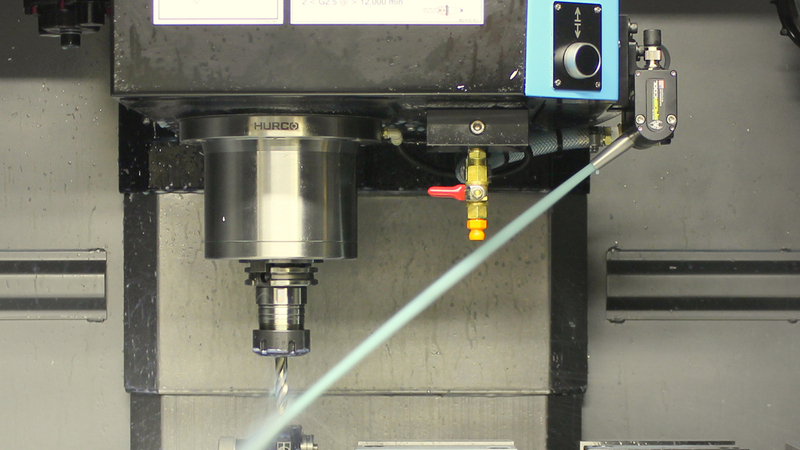 An adjustment knob located safely outside the machine enclosure is used to teach nozzle settings once for each tool. All settings are automatically memorized. The days of aiming coolant by hand are gone. No more stopping the machine, reaching inside, getting wet. No more coolant lines drifting out of position in the middle of the cut. 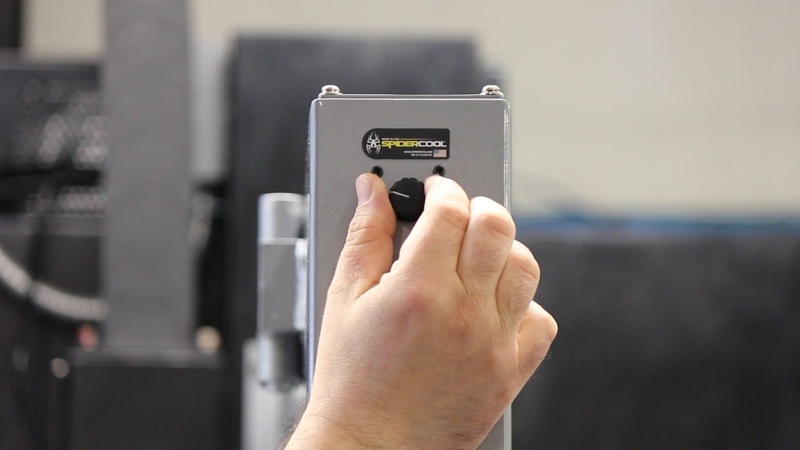 Watch some testimonials from satisfied SPIDERCOOL users.